The network of bridleways and quiet lanes throughout the Howardian Hills makes it an ideal area for both on- and off-road cycling. 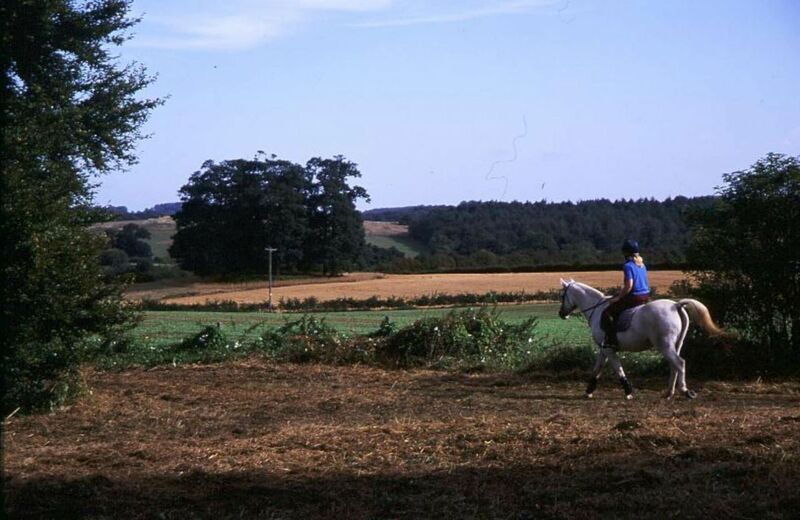 The best off-road horse riding routes can be found in the eastern part of the AONB. Our ‘Bike Rides and Rambles in the Howardian Hills’ leaflet provides an overview of the walking and riding routes that we’ve produced. The mountain biking routes are suitable for horse riders as well. The guide also highlights what’s on offer for walkers and cyclists at Castle Howard, Nunnington Hall and The Yorkshire Arboretum – all of which have free car parking and cafes. The Howardian Hills have become a Mecca for road cyclists due to the gently undulating nature of the terrain. For cycle tourists and day-riders, the Sustrans National Route 65 crosses the western end of the AONB. The AONB has part-funded a series of three ‘guided’ routes from Malton, produced by Sustrans. Mountain bikers also have an opportunity to explore the AONB on a variety of guided routes. Castle Howard makes the ideal start point for mountain biking – plenty of parking, toilets and refreshment facilities for after your ride, including a take-away outlet perfect for a hot chocolate or ice cream depending on the season. The Castle Howard suggested route is 14.5km long but there are options to shorten the ride using the bridleway network if required. The 14km Biking the Banks route which starts from Coneysthorpe gives views to the north across the Vale of Pickering to the North York Moors National Park. Refreshments are available at the Cresswell Arms in Appleton-le-Street or at Castle Howard (approximately a mile to the south of the start/end point). Additional parking is also available at Castle Howard. North Yorkshire County Council has produced two leaflets with off-road routes centred on Appleton-le-Street and Hovingham. In addition to Sutton Bank Bikes and Dalby Bike Barn (see below), bike hire is also offered by Big Bear Bikes in Pickering. Short-use, single-day and multi-day hire options are all available for both mountain and road bikes. It’s advisable to contact them first by phone to check availability. Ride Free Cycle Hire also offers flexible bike hire throughout the Howardian Hills AONB, delivered directly to your accommodation or to a number of other prominent meeting points. Dual track mountain bikes, tag-a-longs, trailers and child seats are available to cater for the whole family. The Howardian Hills AONB has a good network of bridleways, particularly in the eastern half. Riders can park in a variety of off-road parking areas, including at Castle Howard or Terrington and Coneysthorpe Village Halls, and then access miles of tracks and paths. For route suggestions, please look at the ‘Biking the Banks’ and ‘ny rides’ route leaflets above. A network of bike trails has been developed from the Sutton Bank Visitor Centre in the south west corner of the North York Moors National Park, not far from the Howardian Hills AONB. The trails vary from the family-friendly ‘green’ route to the longer and more technical ‘red’ route. After your ride why not have fun in the skills area (which is also great for children). The shop at Sutton Bank Bikes offers everything from a new bike to an inner-tube. The staff can also offer advice about the different routes on offer from the Centre. Adult and children’s bikes, trailers and tag-a-longs are available for hire (advisable to phone first to check availability). A bike wash is provided and Sutton Bank Visitor Centre has a cafe and toilets. A little further afield but an option for a day trip from the AONB is Dalby Forest. Here trails of all difficulties are available – from a short flat ‘green’ route to a 35km technical ‘red’ route and the highly technical ‘black’ route which has been used for the UCI Mountain Bike World Cup. Adult and children’s bikes, trailers and tag-a-longs are available for hire from Dalby Bike Barn (advisable to phone first to check availability). Both Dalby Forest and Sutton Bank have plenty to offer non-cylists – walking trails (including easy access routes), family events (see their websites for dates and times), cafes and childrens play equipment. Dalby is also home to a Go Ape course if you feel like making your day even more adventurous! The North York Moors National Park, which lies to the north of the Howardian Hills AONB, is a fantastic location for cycling, whether you’re a family cyclist or a world-class mountain biker. The National Park contains many miles of country roads, bridleways, forest tracks and disused railway lines in addition to the cycling centres at Dalby Forest and Sutton Bank. The ‘Moor to Sea Cycle Network’ offers 150 miles of pedal-powered freedom. If you’re looking for inspiration, check out the North York Moors downloadable cycle routes.